The Linda Wigs are indeed cute! 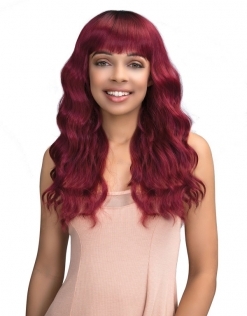 This hair is made with premium synthetic heat safe fibers and comes in a multitude of hairstyles, colors, & lengths. This line offers affordable and sleek bang hairstyles. Feel free to heat style this hair up to 360 degrees Fahrenheit and 180 degrees Celsius.